EMERGENCY services have brought a significant fire in Limerick city centre under control this Sunday evening. 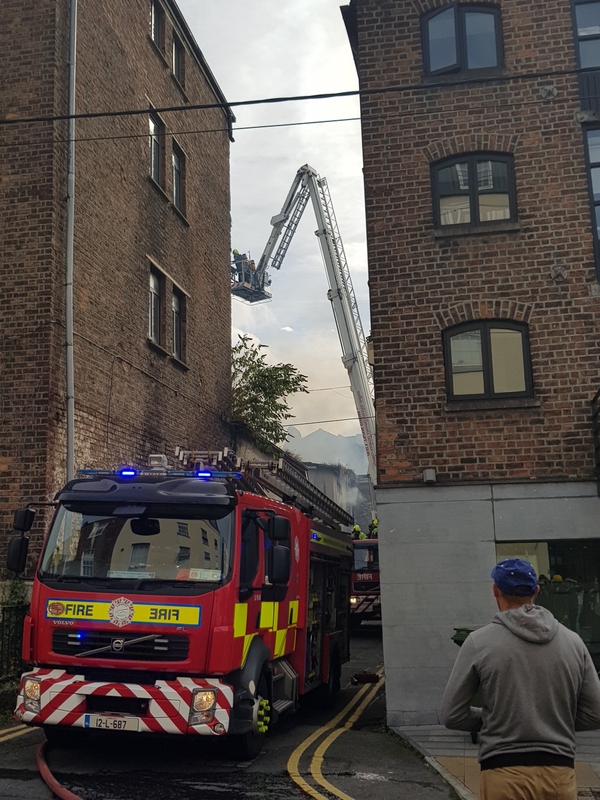 Limerick Fire Service was alerted to the fire at approximately 4pm this Sunday afternoon, after a blaze broke out at a derelict building formerly owned by the Limerick Leader. The building is located to the rear of the current Limerick Leader office but the buildings are separated by an alley. Four units from Limerick attended the scene. The fire is understood to have spread from the ground floor, with crew also tackling “pockets” of fire that spread to the roof of the building. Access to Mallow Street, Glentworth Street, Cecil Street and Catherine Street was restricted for sometime while crews fought the blaze. The crews returned to their base at 9pm this Sunday night and restrictions have now been removed.